Men have thicker skin and larger pores, while thanks to their hormone levels, they produce more oil. This treatment addresses the consequent skin issues and the damage caused by shaving routines and exposure to the elements. 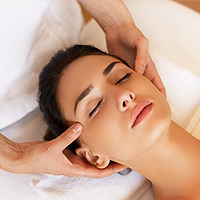 Mediterranean extracts are employed to invigorate the body and reawaken the mind.